Which goalkeepers are the best goal makers? Statistics Can Crystal Palace copy past underdogs? Their main aim is to stop the opposition scoring but goalkeepers can also be a factor in helping their team to score, as Joe Hart showed on Saturday. 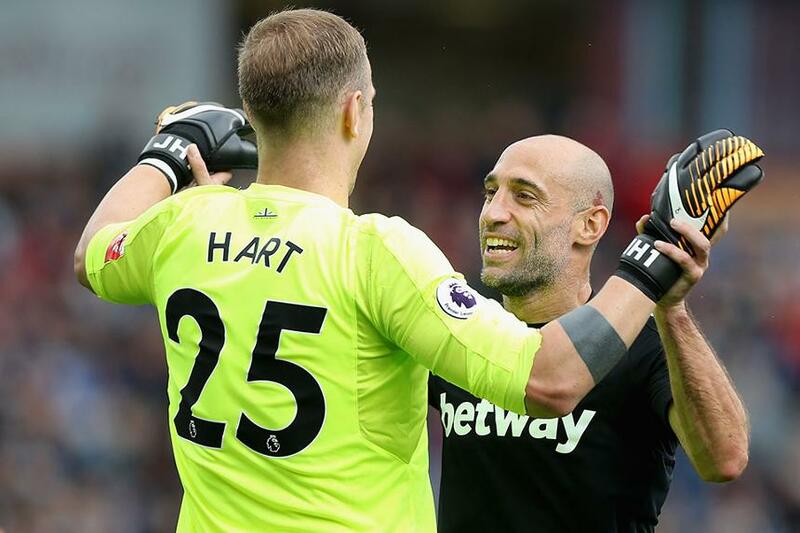 When a long ball from West Ham United's No 1 fell to Michail Antonio to score against Burnley on Saturday, it was Hart's first assist in the Premier League. Indeed, it was only the second time a West Ham goalkeeper had provided an assist in the competition. The previous occasion had been by Jussi Jaaskelainen, for Mohamed Diame against Fulham on New Year's Day in 2014. Hart’s first assist came in his 310th PL match. Only Brad Friedel (450 matches) had played more in goal without providing one. In total, 83 Premier League goals have been assisted by goalkeepers, so which club have provided the most in the 25 years of the Premier League, and which player? Interestingly, the first came on the opening day of the competition, when Peter Schmeichel's long ball was converted by Mark Hughes for Manchester United at Sheffield United in August 1992. Perhaps surprisingly, for they are not noted for their direct football, the club with the most goalkeeper assists are Arsenal. The Gunners have eight goals assisted by their goalkeepers, five of which came after Arsene Wenger took over in October 1996. But, Arsenal's most recent goalkeeping assist was almost seven years ago, Lukasz Fabianski's long ball finding Andrey Arshavin for the opening goal in a 4-2 win at Aston Villa in November 2010. Next in the rankings are Liverpool, Newcastle United and Tottenham Hotspur, all with six each. Two of Spurs' six goalkeeping assists came via Paul Robinson, who boasts the most by an individual for the position, with five. Robinson, along with Tim Howard and Schmeichel from the top seven, can also boast extra goal involvement from scoring in the Premier League themselves, and, in all fairness to Friedel, he may not have assisted a goal but the American did score one, too.